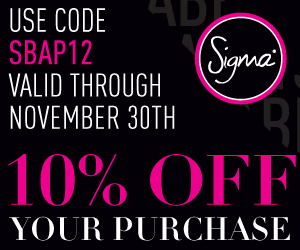 Sigma Beauty 2012 Black Friday Code! Biore New Acne Mild Care Oil Control consists of the TRICILOSAN formula which is bacteria-resistant and effective in treating the problematic acne on your face, preventing them from re-appearing. It can form high-density foam which can best perform its function as a cleanser to rinse off all the unwanted oil, dirt, grease on your face, leaving your skin with purified and bright condition. I really like this foam cleanser. I purchased it at sasa.com awhile back. No allergic reactions!!!! I use it in the morning and at night, and it doesn't leave my face feeling tight and dry. I think that this cleanser is great for acne. I've had only one pimple pop up this month. It doesn't really do anything for controlling oil. I wash my face around 7 a.m., and my face is oily by the time it's 9 or 10 a.m. Even though it doesn't control my oil, I still think this cleanser is great because of it's ability to control acne. I should have purchased more than one because it is currently out of stock. I have finally found a great cleanser, and it's out of stock (T_T) I hope they bring it back. Hello everyone!! This is another sponsored review for SheSpeaks and Torani. I was sent two 25.4 oz bottles of syrup and five$1 off coupons. This time, I received Peppermint and Salted Caramel. I am very pleased with these flavors. I recently ran out of my Torani Vanilla flavored syrup, so these came just in time! "Since 1925, family-owned Torani has been crafting great tasting flavored syrups that coffeehouses use to make their flavored drinks taste so delicious. With over 120 flavors in regular and sugar free varieties, Torani flavored syrups are perfect for flavored lattes, mochas, coffees, cocoas, Italian sodas, teas, lemonades, cocktails and smoothies. Coffeehouse professionals choose Torani flavors because they are expertly crafted and made with the highest quality ingredients, like natural flavors and pure cane sugar. The sugar free flavors have no calories and are sweetened with Splenda. Now, Torani Flavored Syrups are widely available at retail so you can easily create authentic coffeehouse quality drinks at home." With the cool taste and refreshing fragrance of freshly-picked mint, this flavor is an invigorating addition to any beverage. Just add 1 oz. of this classic to mochas, hot chocolate, and blended drinks. My sister made homemade sugar cookies and icing. She added Torani Peppermint Syrup to the icing, and she topped the cookies with peppermints. The richness of buttery caramel is brought to new heights with a pinch of salt in this delectable syrup made especially for iced coffee drinks. Add 1 oz. to brewed or iced coffees, espresso, steamed milk,and more. Waffle mixed with Torani Salted Caramel Syrup. It was soooooo goooood! You can purchase Torani Syrups at: Cost Plus World Market, BevMo, Walmart, Smart and Final, Most major grocery stores, Amazon.com (wide assortment of flavors), Torani.com, and Shop.Torani.com (widest assortment of flavors). Have you tried Torani Syrups? Which one is your favorite? Disclosure: I received free samples of Torani syrup through SheSpeaks. I was in no way compensated for this review other than the free products. It’s that time of the year again—Black Friday Free Shipping! 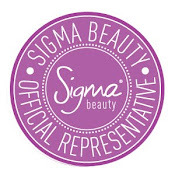 This year Sigma Beauty is offering TWO full days of free shipping (both domestic and First Class International shipping)! The sale will begin at midnight (12AM Central Standard Time) on Thursday, November 22 and end at midnight (12AM Central Standard Time) on Friday, November 23. This gives you a whole 48 hours to place your orders! To redeem your free shipping, simply enter the code BF2012 at checkout. There is no minimum order, but only one discount code may be applied. You cannot use the monthly 10% off discount code with the free shipping so please keep this in mind when placing your orders. 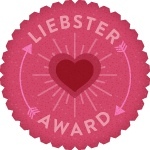 • The Meaning; Liebster is German and means sweetest, kindest, nicest, dearest, beloved, lovely, kind, pleasant, valued, cute, endearing, and welcome. 2.) My clothes in my closet are color coordinated, and I usually pick out everything that I'm going to wear the day before I wear it. 5.) The last drama that I watched was Flower Boy Ramyun Shop. It was ok. Love triangle, good boy never gets the girl...the usual. I always say that I'm not going to watch any more dramas, but I end up watching more. 6.) I eat my french fries with BBQ sauce not ketchup. 8.) I like to remix songs and make them about food! 9.) My favorite perfume is Chanel Chance eau Tendre and my favorite cologne is Gucci Guilty for men. 10.) I love the show Once Upon a Time! 11.) I can't wait until Iron Man 3 and Thor 2 comes out. 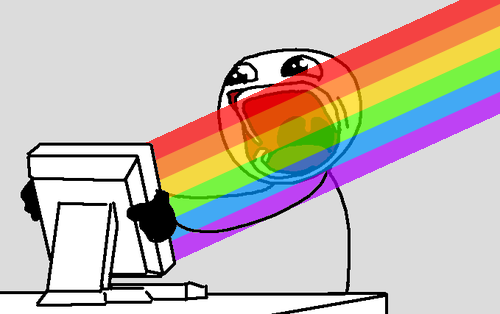 I saw the trailer for Iron Man 3 and I read spoilers about Thor 2. It was too much awesomeness! Q: What made you first become interested in the fashion style that you are apart of? Q: What are your most favorite cosmetic and fashion accessories? A: My favorite cosmetic accessories are q-tips, my Sigma Beauty F82 brush and My favorite fashion accessories are Hats, handbags, and silver jewelry. Q: What is your biggest and most embarrassing fashion mishap? Q: Do you like Anime and/or Manga? If so, what are some of your favorites? Q: What is the last most delicious meal you were able to devour? A: My sister's friends who are foreign exchange students from Korea and Finland made us kimchi fried rice. It was yummy. Q: What is a look that you would like to see more of within the fashion communities? Q: Are you in school currently? If so, what are you studying currently? A: I was planning on attending an esthetics school in September, but something came up. I’d like to go Lord willing, but if that’s not the route that I’m supposed to take I’m okay with it. Q: What is something that annoys you to the point of insanity? A: I HATE it when someone interrupts me when I am making jewelry. From time to time I get into this creative mode where I come up with different jewelry designs and I make jewelry all day long. Every time that happens someone always interrupts me! It drives me crazy!! Q: Who is your most favorite music artist in the world? A: I would have to say Aaliyah. Her voice was very calm and soothing. She seemed like a sweet person. Q: Do you feel as if your style or fashion interests will shift within the next 10 or 20 years? A: I’m pretty sure it will. When you get older your taste changes and you can’t wear the things you used to wear when you were younger. I look at the things I used to wear in middle school and high school and say OMG why did I wear that lol! Q: What makes you the happiest about your life? 1. What's your favorite blog? 2. What feature do you love the most about yourself? 3. What's your favorite thing to shop for? 4. What's your favorite Gyaru style? 6. What's your favorite post on your own blog? 7. What's something that you can't leave the house without? 9. What's your favorite nail polish color? 10. Are you quiet or outgoing? 11. What is the last thing that you bought? Vitabath presents a new line of lightweight Fragrance Mists in 16 fabulous scents. This revitalizing, weightless formula is infused with conditioning vitamins and a unique antioxidant blend to keep your skin refreshed ans happy. Smell absolutely delicious with a Vitabath! Never have the time for a great updo? Not anymore! The Goody Simple Styles Spin Pin allows you to easily achieve three chic updo styles. Simply twirl your hair up and spin the two Spin Pins in for a perfect undone bun, side bun, or double bun! I didn't like the Ivy and Lily scent that I received. It smells like kitchen cleaner and male cologne. I was very disappointed. I enjoyed using these pins. I was afraid that it would get tangled in my hair, but it didn't! It was easy to use and it didn't fall out. I like this starter kit. It was easy to put on and I loved the glue applicator. My hair is relaxed, but I used it on my hair when I did a braid out and it came out pretty well. My curls were nice and they weren't as frizzy. The only thing I didn't like about this hair cream was the scent. It was way too strong. The EBOOST orange flavor was awful!! I didn't even finish the last bit. This all-in-one compact comes with everything you need for a complete eye look: primer, illuminator, applicator and complementing shadows. With four colors, specially coordinated to intensify and enhance tour eye color, you can create a look as individual as you are. Make your eyes pop! This is a pretty good palette. The colors are very pigmented. I used my own eye shadow primer because I didn't like the on that came in this palette. Mini but mighty! Bath & Body Works Mini Candles provide an amazing fragrance experience exclusively developed and tested by a team of Home Fragrance experts, including the world's best master perfumers. I blog about Bath and Body works from time to time, and this candle was my favorite item from the Beauty Bloggers VoxBox. It was small, yet mighty. The lovely scent filled up my whole room. Hello everyone! I hope that you all are doing well! I moved to a different house, so I haven't been blogging lately. You don't realize how much stuff you have until you move!! July-August I was moving and in August I was unpacking and redecorating. It was so hard to write blog posts because I was going back and forth between homes. My internet and computer was at the new home. I had to rush with my BzzAgent and Influenster reviews because it had to be submitted by a certain date, and I wanted to do my giveaway quickly before I forgot. Everything is finally back to normal now and I can finally relax! I washed walls on my birthday (July 18) instead of relaxing. Fun, fun, fun :P I'm 25 years old!! My sibling make fun of me and say that I'm 5 years away from being old. I don't care. I'll still look young no matter what age! My birthday gifts to myself was a daybed frame, a nice pillowtop mattress, and a new computer desk. I just realized that I never wrote a birthday post. I was planning on writing one in July but that never happened lol. I took photos of my cake though. Chocolate on chocolate topped with chocolate! Well that's about it with my life update^^ Haul time! The Aussie 3 Minute Miracle deep conditioner is wonderful. It makes my hair soft. I LOVE the Wave Nouveau Finishing Mist. I've seen reviews on YouTube and I wanted to try it out. It leaves my hair really soft and manageable. It tames my new growth! I'm planning on stretching my relaxer till October. I'll be six months post. This product has helped a lot especially after I wash my hair!! I need to always have this in stock. This finishing mist is also sold at Sally's Beauty Supply. I looked online and they have a bigger bottle. I've only seen the Happy Me skin care products on drugstore.com I bought the moisturizer because I liked the fact that it's for acne plus, it has SPF in it. It has a strong herbal scent but it goes away. This was the only thing that I purchased from Sasa during the time when there was free shipping without a price limit. I told myself not to purchase anything else from Sasa that day. I was a good girl lol! I know for a fact that I'll be writing a review on the Biore Foam Cleanser and the Happy Me Moisturizer. If you guys want me to do a review on any of the other product please let me know! I kid you not, everytime GD comes back haters lose their minds!! If you don't like him then don't watch or listen to his music. It's simple. I read some of the comments and went into “Fan Mama Mode”. I wanted to log onto my other YouTube account and tell people off, but I didn’t do it lol. It would be pointless. The winner of my giveaway is Rust Hawk. She has already been notified and should receive her prize very soon. Thank you all for entering my giveaway and thank you Tropical Traditions for allowing me to have this giveaway. Have a great day! Enter Bic Soleil Savvy- an innovative razor that combines the convenience and priced-to-please savings of a disposable with the premium shave performance of a refillable cartridge system. In short, this shaving experience feels savvier with each stroke. Flexible blade technology and a pivoting head provide a flawlessly smooth shave. Each BIC Soleil Savvy package contains one disposable handle and four refillable cartridges. I received this razor from BzzAgent as part of their BIC Soleil Savvy Razor Campaign. I received 1 razor and coupons. After using it for a month, the only thing that I liked about it was the handle. This disposable razor has a wide handle and I was able to use it with ease. I didn't have to worry about it slipping out of my hands. The reason why I will not be purchasing this razor is because it didn't give me a close enough shave, and the moisture strips did absolutely nothing. Disclaimer: I'm a member of BzzAgent which allows me to receive these products for free in exchange for an honest review of the product. I was in no way compensated for this review other than the free products.